I’ve been in a love affair with a guy named Daniel for years. He’s accompanied me to church, bible study, Sunday school, and small groups. He’s been my shoulder to cry on when life’s kitchen had the heat on hell and reminded me that there was always a “fourth man” standing in the “furnace” with me. It was his life’s story that reminded me that even in the mouth of the lion, God will save me, redeem me, and elevate me. All of his heroic stories shaped who I am. I believed what every preacher has ever said about him and I never questioned whether or not the miraculous things that occurred in the book of Daniel were really legit. Today, I found out that they were not — they’re fictional. Yep. Fictional, fake, made up, fabricated, imagined. I sat in the lobby of Candler this morning with my mouth agape and my heart tormented. “What do you mean, book of historical commentary on Daniel, that the stories of heroism that I’ve held so dearly is fictional?” I asked myself. I flipped through my bible’s commentary to find some kind of solace, some explanation that would solve this crisis: how could these stories I’ve held on to for so long be fictional? How could something that mattered so much be historically and literally inaccurate? I took to Facebook and threatened to jump off a classroom table if I had to really accept the idea that the stories in Daniel chapters 1-6 were fictional (Chapters 7-12 are considered Apocalyptic Literature and requires its own discussion!) My embedded theology had been challenged, and though it wasn’t the first time, it surely hit me like a ton of bricks. I got a little pushback from friends and associates on Facebook, of course. I had to figure out what was making this break up with Daniel’s heroic stories so tough and where I would go from here — as a seminarian and as a Christian. The running joke with many seminarians and their friends/families/church community is that seminary admits a Christian and graduates an atheist. “You lose your Jesus in there!”, they say. We gain insight to the historical and literal contexts, so much so, that in some way, what was once an infallible now becomes… questionable. What, then, do we do? I came to this conclusion (because losing my Jesus ain’t an option) — whether the stories are factual or not does not matter. The truth remains: God’s sovereignty, power, and desire to have relationship with us is a consistent, irrevocable force. When we read scripture, we have to learn to separate the facts from the truth. 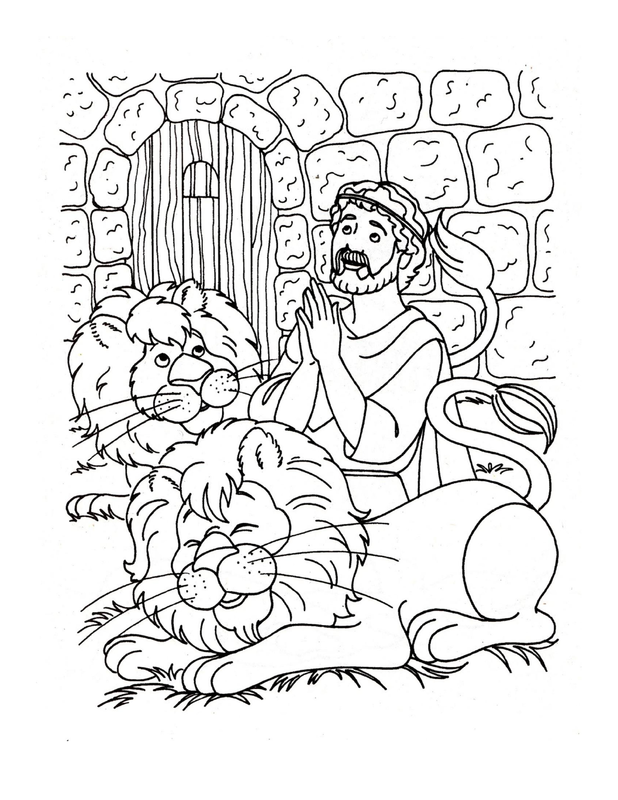 The fact of the matter is, the stories told in Daniel chapters 1-6 may not have happened. Historians don’t even know who authored the book and, as the stories of Daniel take its course, there are some quirky things happening within those aforementioned chapter (like the text switching from Hebrew to Aramaic then back to Hebrew). The truth is, however, that God’s power is real, that He will go to great lengths to save His (or Her) people, and that no matter where we are and under what circumstances, we can rest in the fact that God is there to save us. Through Daniel, we learn how to live/act in a world that may expect us to live contrary to what our God tells us to do — be and remain faithful to Yahweh is a key theme of the book. That, my friends, is a personal thing — what YOU believe God can do based on what you’ve read and understand is your own personal discernment. Knowing the history behind the story doesn’t change what I believe about God; if anything, it enhances it. It helps me to see God in a new way; it complicates yet simplifies, narrows yet expands, empties yet fills. In a lot of ways, I feel like knowing that sometimes the story and even the characters are totally made up moves our loving affections away from these biblical personas and to the one who really matters: God. I know it won’t be the last time that I read something in scripture that really challenges what I’ve thought to be true (I’ll write about my disappointment in Job and my tears shed over Genesis in another post) and it is this level of questioning and critical thinking that I hope will help make me into a really awesome minister/writer/pop culture commentator/praise and worship leader/dancing machine. I’m still working on what to do with these feelings about my man Daniel; like any love affair gone awry it takes a minute to settle into things. I am glad, however, that God walks us through this process of getting over what doesn’t matter and getting to the root of what does. Easter: Get Outta My Seat Day! Alisha, certain portions of the Book of Daniel are indeed reality to me! Whether or not the Book is fiction –or even if the entire Bible is fiction (perish the thought! ), the Scriptures are my ‘night and day’ meditation, for that is what enables me to survive, cope, have wisdom. Consequently, for me it IS REAL. However, it is SPIRITUAL. I have discovered, since “the letter killeth” (2 Cor.3:6), it is NOT printed words that enables a Believer in Jesus Christ to “overcome the world” (1 John 5:4). In fact, in our society where people are busy with their lives and their cares –or where people simply don’t even have the wherewithal to advise or assist me with what I’m going through, how EVER could I go on in this life if it were not for the “quickening” power of the Living Word of God. It is settled with me, that Daniel is real, especially because God has occasionally assigned me to virtual lion’s dens and fiery furnaces. Without the information and the spiritual teachings from the book of Daniel, I would not possess survival skills and contemplation for the Holy Spirit to “bring to my remembrance” (John 14:26) at the times when I need consolation and strength. Instead, sorrow and worry, or even bitter could consume my thinking processes if I did not know the right things to think! Alisha, I connected to your writings –and afterward to you when I read on your website that you’ll write “when God tells you.” I applaud your waiting God’s direction. [I also make an effort to wait for direction in my ministry. Yes. I still have to do ministry notwithstanding my troubles –which I guess is why I am openly testifying about the effectiveness of the Word of God for people who have within them ( the born again Life of Jesus Christ.) Also, yes –for people who read would my statement, I want them to know that people who truly labor for Christ have similar suffering to what Christ endured. We are not perfect, but we have no regrets about this Pilgrimage which includes seasons of suffering, even as described in the about a man named Daniel. I don’t know if you have ever had the chance to get to know me as your little sister in God but I hope, in time, we become better acquainted. **Note: I want to mention, I am currently writing my memoir entitled: “More Than A Conqueror,” which describes lots more about how the Scriptures shapes me not to be religious, but to be! Thank you so much for reading! You hit on soooo many powerful points, I don’t know where to begin! The Holy Spirit is so real and does remind us of these stories in the bible to help remind us of what is possible! I finally came to the resolve that regardless if the stories are historically accurate or not, there’s one thing I know for sure: Jesus is real and so is the Holy Spirit! The stories of the bible do an amazing job in reminding (and showing us) God’ power and sovereignty — it constantly reminds us that He’s desperate for us and wants to have relationship with us so badly! I think you’re on the right track: despite our “stubborness” or even our inability to fully understand what God is doing, we know for sure that His love for us is endless. I get overwhelmed at the thought of it! I’d love to get to know you — subscribe to the blog and like my page on Facebook (www.facebook.com/AlishaLGordon9) and PLEASE keep writing! We need your voice in the earth; someone is waiting for you to complete that memoir so they can know God’s love for them through YOUR story! Thanks again for stopping by; chat soon! I am sure at some point most of Gods people might go through something similar but I believe it is at this crossroad that you have to make a serious decision. Whatever you may be going through, do not write for the world to see that you no longer believe that what is written in the bible is true. We forget to easily the scriptures that tell us : The Word is God Breathed. (2Timothy 3:16 All Scripture is God-breathed and is useful for teaching, for reproof, for correction, and for training in righteousness) Man wrote the Word through the Holy Spirit. Not on their own. Every word in the bible is truth. It was written from the beginning of time and shows us what will happen at the end of time. This is what FAITH is, Hebrews 11:1. In the beginning, the Word existed. The Word was with God, and the Word was God. He existed in the beginning with God. Through him all things were made, and apart from him nothing was made that has been made. Heb 10:31 It is a terrifying thing to fall into the hands of the living God! Heb 10:33 At times you were made a public spectacle by means of insults and persecutions, while at other times you associated with people who were treated this way. Heb 10:34 For you sympathized with the prisoners and cheerfully submitted to the violent seizure of your property, because you know that you have a better and more permanent possession. Heb 10:35 So don’t lose your confidence, since it holds a great reward for you. Heb 10:36 For you need endurance, so that after you have done God’s will you can receive what he has promised. Heb 10:39 Now, we do not belong to those who turn back and are destroyed, but to those who have faith and are saved. Thought historical accuracy is up for debate, the overarching point and the principle of the book of Daniel remains — that God will do anything for His people. ANYTHING. Uncovering the text through dialogue is what this all about! We may not agree but it is through dialogue that revelation can happen! Thank you so much for your comment! Good to “catch up” with you again, sister! *-* My comment IS NOT “to” the person, NOR about the person who wrote the above May 29, 2014 comment. The WISDOM that comes from above and “easy to be entreated,” doesn’t consist of mind-over-matter formula mentality mastering, congratulations for what might be called faith, but might not be righteous faith, nor faith that SERVES BY LOVE. Wisdom involves honest acknowledgment unto God –and among the Household of Faith regarding (ex: James 5:16; Gal.6:2; Gal.6:10) some things we encounter, some things we think about, and even some things we feel (ex: Psalm 42:5 ). God’s Wisdom -RATHER THAN manufactured faith, and formulas for people’s personal ability of making it through life, prompts us to come to terms with what is really going on, NOT ONLY for our lives, but for purposes of being able to RELATE TO and MINISTER to OTHERS! For purposes of NOT “passing by on the other side” (Luke 10:32) of a hurting world! Since reciting Scripture formulas and Bible can be done by any person, including Satan who recited Scripture to Jesus, axiomatically much more is involved in WALKING WITH God. Honesty regarding where we are, rather than where we ARE NOT, is a good step. I’ve never abused substance (never drank, never used drugs, pills); don’t have AIDS, nor any of the many things that precious others have among us in our world –but it could have been me!!! Also, I could be outdoors, or bedridden, or a prison inmate, or a wildfire victim. In other words, people are experiencing so many things for which showing them how many Bible verses we know, and commanding them to have faith is SIMPLY ABSURD, without helping them to know: that we relate, that we have doubts, and that sometimes we feel disappointed about God. People can ” pick up the Bible and read it with FAITH” all they want; it will produce zilch, absent prerequisites. They might as well as “pick up” an apple and eat it.